For 2019, the Honda CRF450 receives a laundry list of changes. For 2019, the CRF450 receives a host of updates for, making it lighter and more powerful. 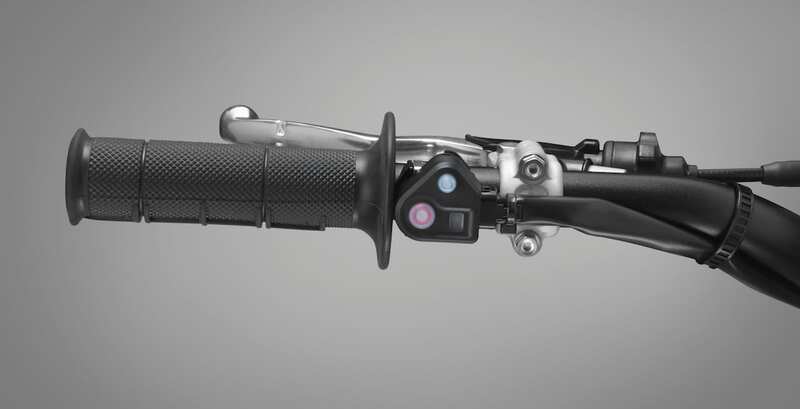 Rider comfort has been increased through the addition of adjustable mounting positions for the new Renthal Fatbar handlebar. It also comes with all-new black rims. The 2018 CRF450 was the victor at the 2018 Daytona Supercross at the hands of Team MotoConcept Honda’s Justin Brayton. 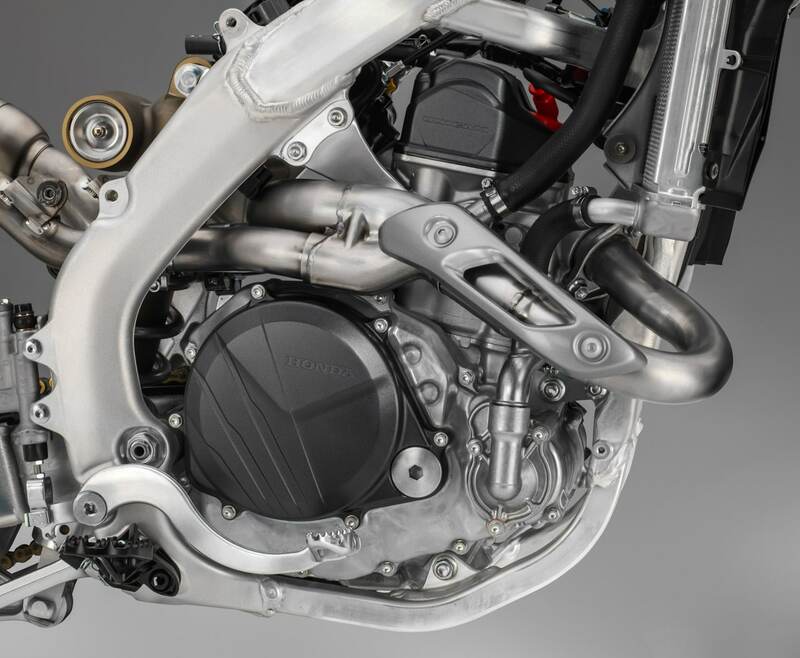 The 2019 CRF450’s engine offers many updates. Updated Standard, Smooth and Aggressive riding modes enable easy tuning depending on rider skill or conditions. • Utilizing the space gained by eliminating the kick starter, a new exhaust features a larger pipe diameter and optimized design at the branching location for increased power. Previously 31.8mm, the right and left pipes are now 35mm and 43mm, respectively. In addition, total tube length (from exhaust port to muffler end) is up 98mm on the right and 187mm on the left. 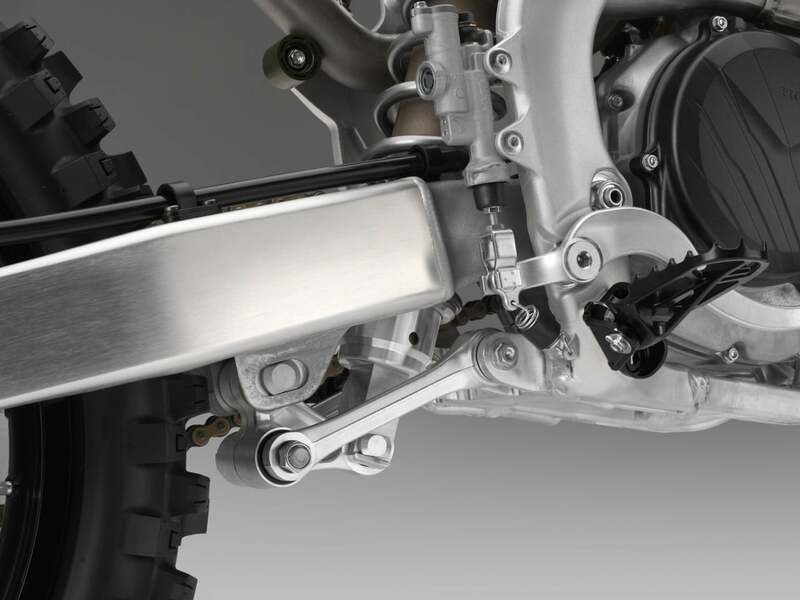 The swingarm is redesigned to be lighter and have less rigidity for 2019. The shock linkage is updated. The top triple clamps offers different handlebars mounting positions. 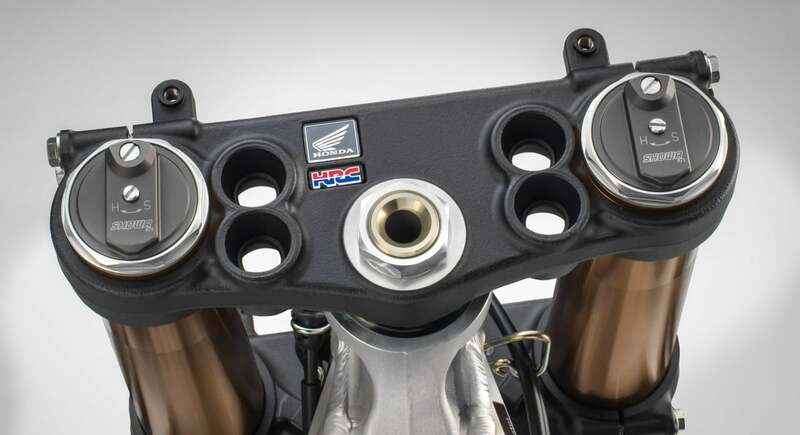 The 2019 Honda CRF250 receives much needed engine updates. 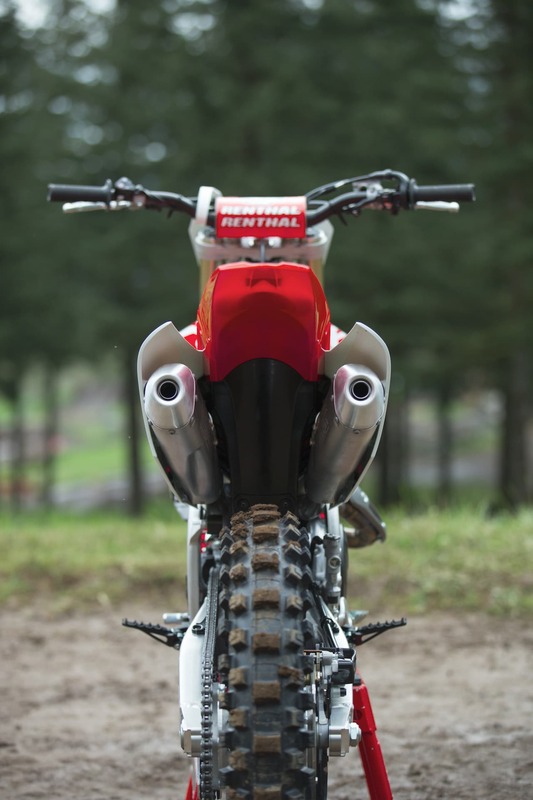 Newly introduced in 2018, the CRF250 was down on low-to-mid power compared to the competition. For 2019, Honda focused on acceleration performance. The updates to the CRF250 were factory-inspired for the engine, brakes and electronics. 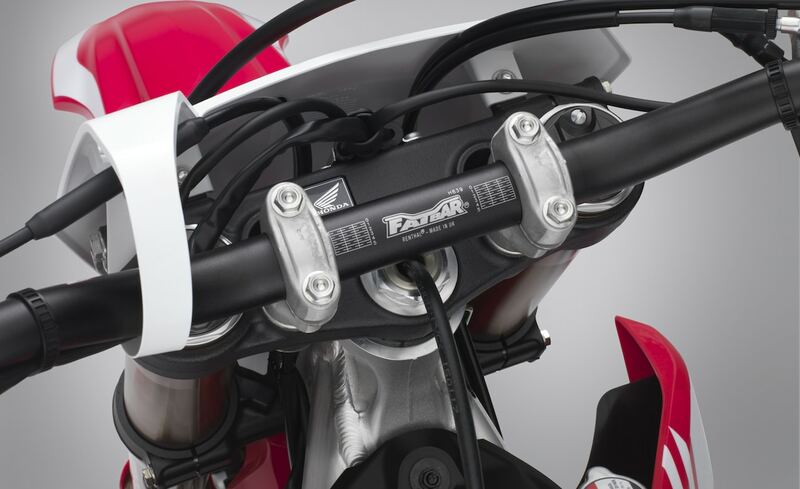 The Honda CRF line now comes with Renthal Fatbars as well as two handlebar-holder locations. Right-side exhaust pipe has been shortened 50mm. 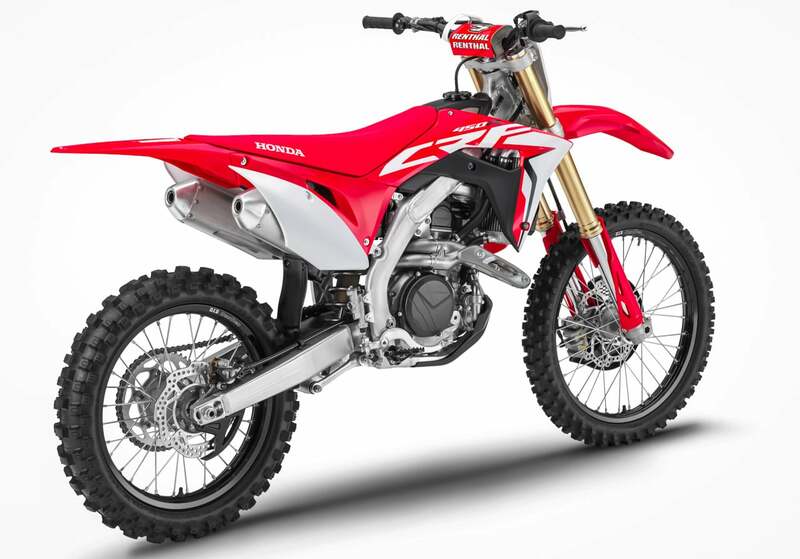 The 2019 Honda CRF150 have no changes other than graphics. Raced by Amsoil Honda hotshot Hunter Yoder on the amateur National circuit, Honda’s smallest motocross machine is powered by a Unicam four-stroke engine that offers a spread of ample, useable power and torque across the rev range. 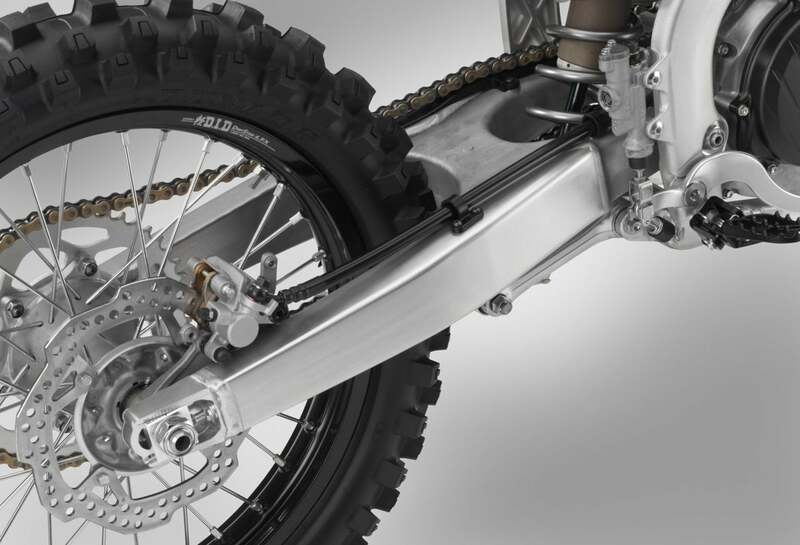 Suspension duties are handled by Showa, with a 37mm inverted fork and Pro-Link rear link system. 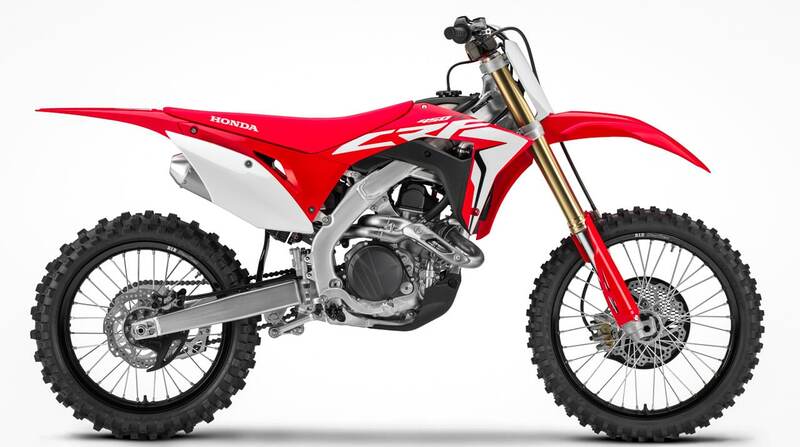 In addition to the standard version, Honda offers the CRF150, which features larger wheels, a taller seat, a longer swingarm, and more rear-suspension travel.